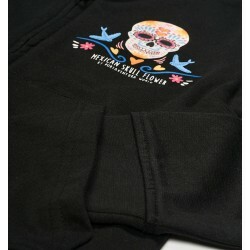 Woman's black hoodie with adjustable drawstring hood, two front pockets and long sleeves. 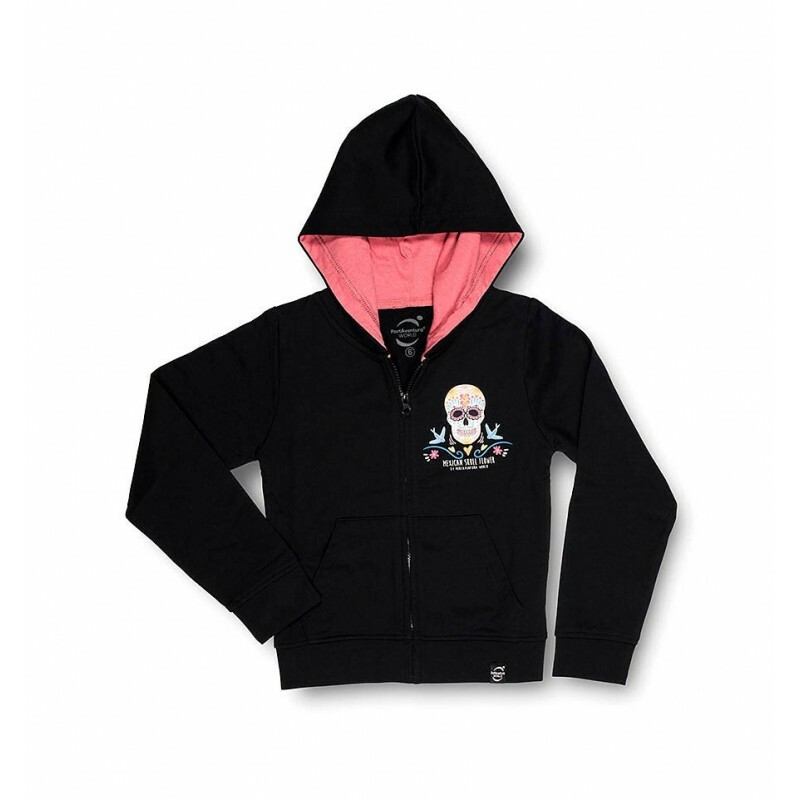 The hood lining is pink. 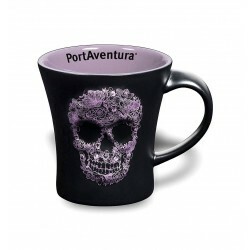 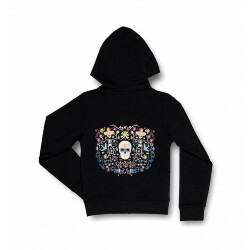 Personalised with the Mexican Catrina skull on the front, and the PortAventura® World logo on the back.